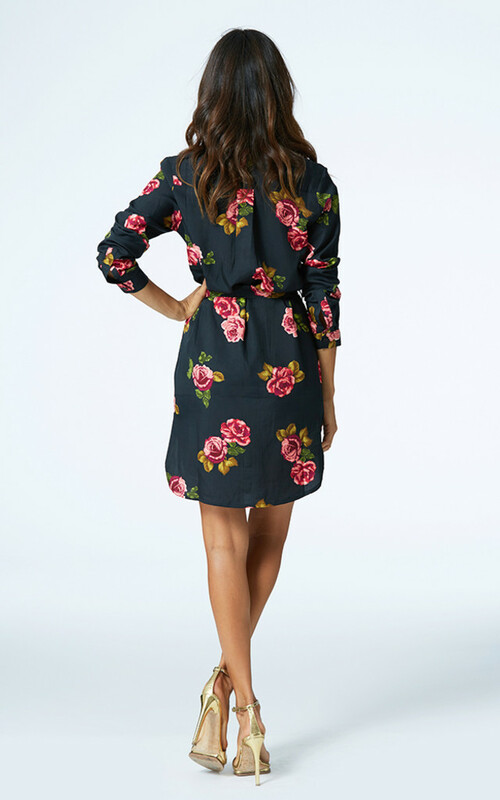 This classic rose print mini shirt dress will see you through every season in style. 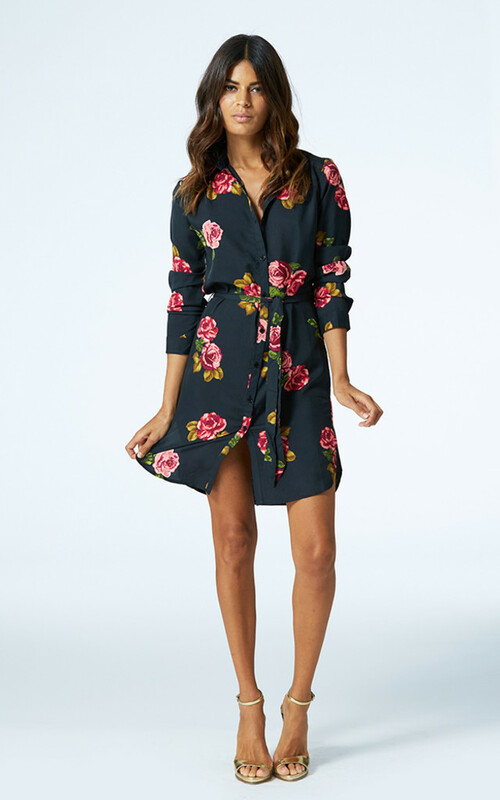 Wear with tights, jeans or without; with a tie waist to hug your hips and roll up sleeves, you can take this dress from casual to class with a simple step of adding some heels. This product runs small, please pick a size up from your normal if you are unsure.